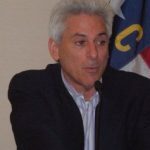 Michael Specter, science writer for The New Yorker, spoke to a standing-room only ScienceOnline2010 crowd at the Research Triangle Park headquarters Friday evening. Much of his talk was about why he wrote “Denialism: How Irrational Thinking Hinders Scientific Progress, Harms the Planet, and Threatens our Lives,” the books that’s catching a fair amount of flack on the Internet. “The Internet and I don’t get along this week,” is how Specter put it. But the crowd of about 200 blogging scientists and science writers wasn’t very combative. Specter’s endorsement of vaccines and genetically modified foods, his opposition to organic foods and the fact that he didn’t address Creationism and global warming in the book didn’t raise objections. What did was a story published in The New Yorker Sept. 28: A life of its own. Where will synthetic biology lead us? But more about that later. I didn’t get a sense of how people felt about the talk from the questions they asked afterwards. So I grabbed about a dozen folks in the RTP lobby and later in the hotel bar and asked them. There was very little disagreement with Specter on the issues in the book that have proved controversial on the Internet and among the general public – vaccines, GM foods, organic foods. Only one person took issue with some of Specter’s statements, and the criticism was more related to sloppy wording and rhetoric. Opinions differed about Specter’s statements that there’s more and better science writing than ever before. He argued that science is woven into many more stories, from politics to breaking news, and science blogs are making up for shrinking newspaper coverage. Some people agreed with Specter, one disagreed. Several people said they would have liked to hear more thought-provoking stuff from Specter. One person said he was “underwhelmed” by the talk. They all wanted to know more about how journalists like Specter decide whom to talk to for a story. Some of this criticism was linked to the synthetic biology story, which clearly struck folks as incomplete. Check out more of the best laboratory equipment for scientific research and studies on scienceinthetriangle or read up on our latest articles about science and technology news.